The Latest Mobilversity App: Carleton Mobile! 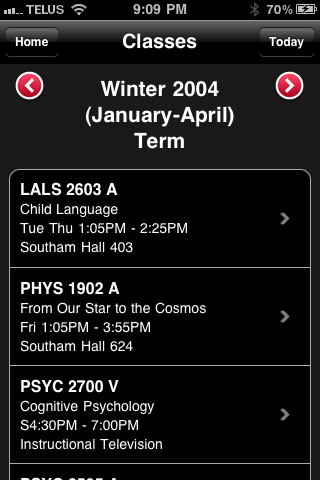 Carleton University, located in Ottawa, Ontario, released its iPhone and Android mobile application for students earlier this week. The new app, Carleton Mobile, will provide students with convenient access to various resources at their educational institution. 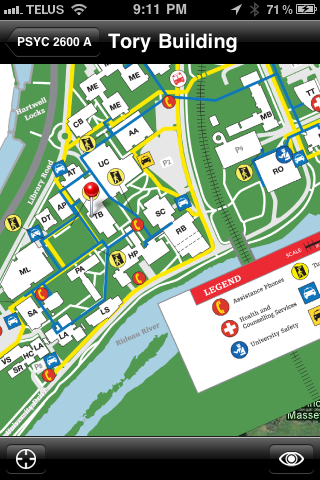 New students will find the campus map particularly beneficial. Using the GPS tracking capabilities, student will be able to navigate their way around campus– the first of our Mobilversity clients to provide its students with this location technology. This new function will make Orientation and the first week of school that much easier for new students! All students have access to view their grades and course schedules on their mobile device using either platform, with the added ability to search courses by term and to look at previous year’s course schedules. 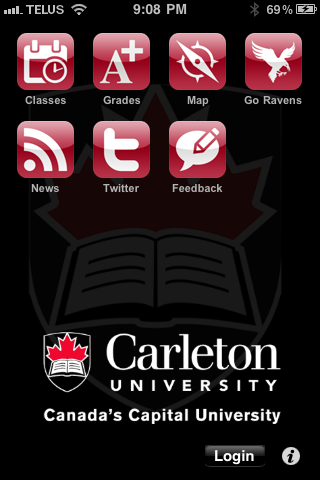 The application also features student news, Ravens’ athletics news, the Carleton_U Twitter stream and an app feedback form. The app has already received numerous positive reviews from users and is growing in popularity as students prepare for their return to campus in September. After only 4 days on the App Store, the iOS version is now #2 for free educational apps with a rating of 4.5/5! Be sure to check out the iPhone App on the iTunes store! The Android version is currently ranked #25 in the same category on the Android marketplace with a 4.7/5 rating. Due to the complexity of the application, the Carleton application took about 5.5 months to develop. The developers worked very hard to ensure the graphics were eye-catching and the app was user friendly. It will be continuously updated to ensure it works on the latest devices. Interested in a Mobilversity application for your university? Contact us! Fill in our online ‘Contact’ form or give us a direct call at 1-800-298-7081.